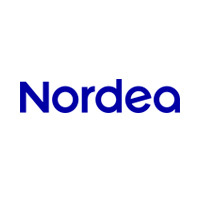 Nordea is the leading financial service group in the Nordic and Baltic Sea region and operates through three business areas: Retail Banking, Corporate and Institutional Banking and Asset Management & Life. The Nordea Group has approximately 10 million customers and 1,400 branch offices. The Nordea Group is a world leader in Internet banking, with 6.2 million e-customer. The Nordea share is listed in Stockholm, Helsinki and Copenhagen. The London branch offers a comprehensive range of financial services aimed at Nordic companies with subsidiaries or sales in the UK and international companies with business in the Nordic and Baltic area. Through our Luxembourg branch we also offer a whole range of private banking services, including individual investment counseling and discretionary investment management.Nordea is the leading financial service group in the Nordic and Baltic Sea region and operates through three business areas: Retail Banking, Corporate and Institutional Banking and Asset Management & Life. The Nordea Group has approximately 10 million customers and 1,400 branch offices. The Nordea Group is a world leader in Internet banking, with 6.2 million e-customer. The Nordea share is listed in Stockholm, Helsinki and Copenhagen. The London branch offers a comprehensive range of financial services aimed at Nordic companies with subsidiaries or sales in the UK and international companies with business in the Nordic and Baltic area. Through our Luxembourg branch we also offer a whole range of private banking services, including individual investment counseling and discretionary investment management.